Simulation: Is it better than the real thing? Home » Why you didn’t get the RTOS business and other embedded software stories » Simulation: Is it better than the real thing? In my professional life, I have to be careful what I say—I’m a software engineer and a large proportion of my colleagues have a hardware design background. I wouldn’t say that these two disciplines are at war, but there’s always been a tension between hardware and software developers. In an embedded design, if something goes wrong, both parties assume that the other is at fault. Worse still, if a hardware design flaw is located late in the development process, it may be too late to fix it economically, so the only option is to accommodate the problem in software. And gosh, does that rankle. Logic simulation: the hardware logic is simulated at the lowest (gate) level. Although this is ideal for developing the hardware, modeling a complete embedded system and executing code would be painfully slow. Hardware/software co-verification: using an instruction-set simulator (see previous bullet) linked to a logic simulator (see next bullet), a compromise in performance may be achieved. This makes sense as, typically, the CPU design is fully proven, so having a gate-accurate model is overkill. Instruction-set simulation (ISS): an ISS reads the code, instruction by instruction, and simulates the execution on the chosen CPU. Historically, this has been much slower than real time, but very precise and can give useful execution time estimates. However, with the amazingly powerful desktop computers we now have at our disposal, execution speeds are quite reasonable. Typically, the CPU simulator is surrounded by functional models of peripheral devices. 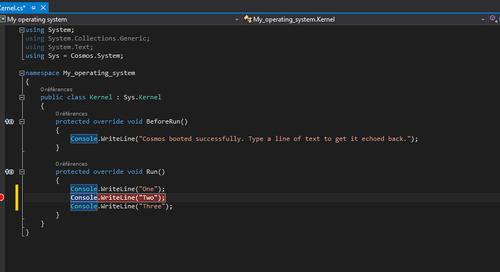 This can be an excellent approach for debugging low-level code like drivers. Host (native) code execution: running the code on the host (desktop) computer delivers the maximum performance, often exceeding that of the real target hardware. For it to be effective, the environment must offer functional models of peripherals and relevant integration with the host computer’s peripherals (like networking, serial I/O, USB, etc.). For larger applications, this approach enables considerable progress to be made prior to hardware availability and offers an economic solution for larger, distributed teams. These technologies are not competitive with one another. Each one offers a combination of precision and speed, which may be appropriate at different times in the design cycle. This can be visualized in the plot below. You can change the rules and deviate from this nice relationship by cheating, like by using hardware acceleration, which is special electronics designed to turbo-charge the logic simulation. But that is no longer simulation; it’s emulation, which is another story. Colin Walls is an Embedded Software Technologist at Mentor Graphics’ Embedded Software Division. Should you purchase a commercial RTOS or write your own? The auto industry has a complex supply chain, so compliance with standards is easier to manage than individual, very detailed specifications. Power management's importance is largely driven by the requirements to extend battery life for handheld devices, but environmental hazards, heat dissipation, etc., are raising concerns. Although I focus on embedded software in this blog, an understanding of how such sensors are organized is useful. Self-testing is different for every embedded device. The only constant is the likelihood of failure. Lessons learned from experience – commonly from solving a problem – are often so much more effective than any amount of reading in books (or blogs!) – and this is how I learned about endianness. User interaction with an embedded system might be something very slick - touch screen LCDs seem to be fitted to everything nowadays. But sometimes a simple LED indicator is enough. Open source plays a big role here. And it's free, right? Power consumption of embedded systems continues to be a hot topic (no pun intended). 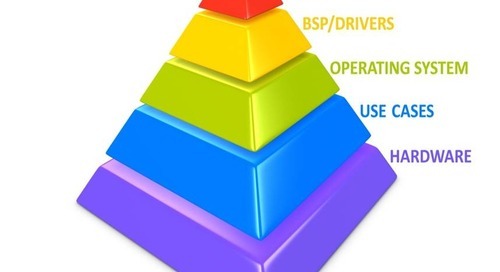 And there’s one aspect of designing for low power that should be placed under the spotlight—the Power Pyramid. Low power design, until only recently, would have been considered purely a hardware issue, but it is now very much on the agenda for software developers. Smart phones are ubiquitous and it is worth considering how their design has been influenced by consideration of power. How many rubber trees are owned by the Ford Motor Company? There is a good, albeit rather general, rule that applies to the management of a successful business: focus on what you do well, then do it better than everybody else. Today, for a change, instead of discussing some embedded software technology, I would like to put forward a concept for a new product. 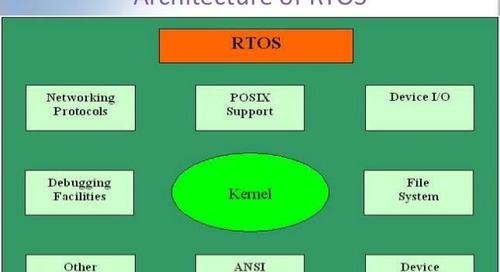 Anyone working with embedded systems software is likely to be somewhat familiar with RTOSs. I’d like to give you some insight into the business of buying and selling such software products. Everyone over 30 or so can remember the “Y2K problem,” also known as the “Millennium bug.” As the end of the century and millennium loomed, there was widespread concern that chaos would ensue.